It’s wedding season, and for many women this means feeling the pressure to look “dressed up”. For some reason, this also equates feeling the pressure to wear heels, even though with the amount of dancing involved you’d probably much rather be in flat shoes. Not to mention the blisters that come with wearing sky-high shoes, the supply of plasters that has to be packed in your tiny handbag, and the feet washing that has to be done at the end of the night because you’ve spent most of the day in bare feet when your heels got too painful…I don’t need to promote the benefits of NOT wearing heels any more, do I?! Yesterday I was bridesmaid for my dear school friend Daisy. 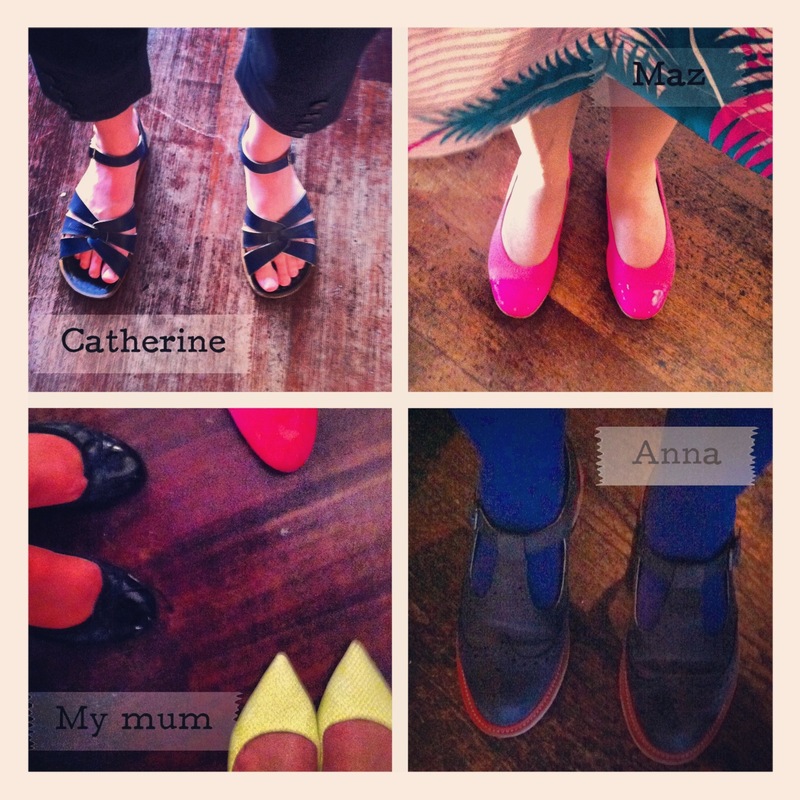 I wore flat shoes (of course! ), even though the other two bridesmaids were VERY tall and were an entire foot taller than me once they were in their heels. I might have looked comical when standing next to them, but I was on the dance floor all night and I didn’t have any blisters to complain about this morning. My shoes were still a very special purchase and made a chic addition to my bridesmaid dress, plus I have the added bonus that they will look fab with a pair of jeans and a sweater too. The bride too was savvy enough to know that she’d have a better time on the dance floor if she changed into flats for the evening do. Her turquoise L.K. 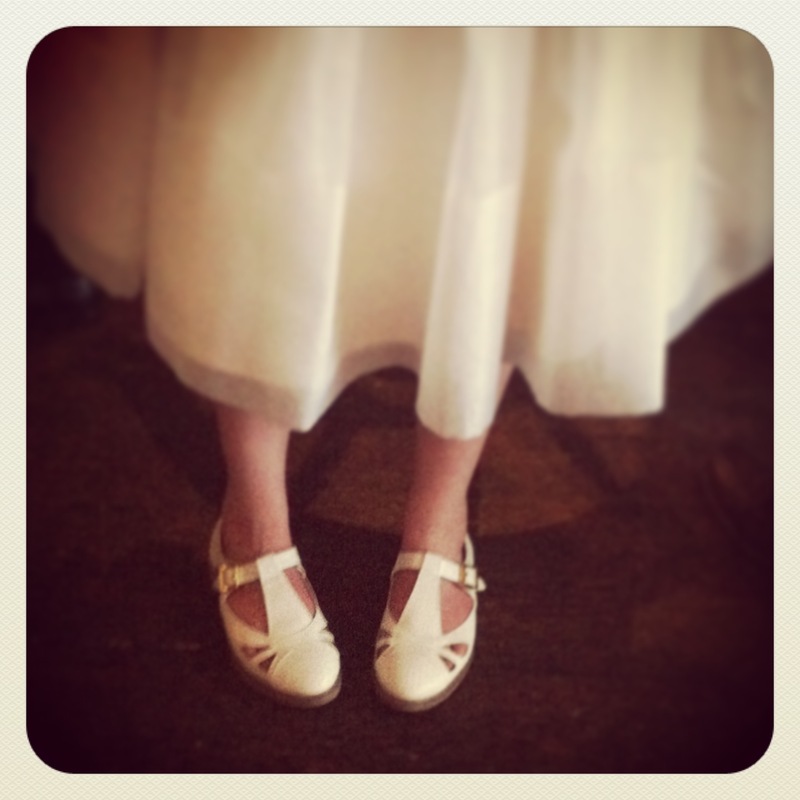 Bennett heels did look gorgeous for the ceremony, but Daisy’s Topshop shoes allowed her to dance all night in comfort. They also looked super cool with her vintage wedding dress. So when you’re planning your next wedding outfit, don’t feel like you HAVE to wear heels to look stylish. It’s just not true, and you’ll have a much better time for wearing flats. Plenty of other women yesterday had this in mind as you can see above (I particularly liked that Catherine wore her Salt Water sandals; she looked great). Finally though, I couldn’t not mention the men. Not that they have any option but to wear flats (although I’m sure no-one would have minded if they wore heels!). There were some seriously dapper shoes on offer, even TWO pairs of metallic lace ups. Top marks boys! The dress was to die for. And she was able to pogo in those shoes! I just bought my evening flats for my wedding! And a midi heel for the day…. 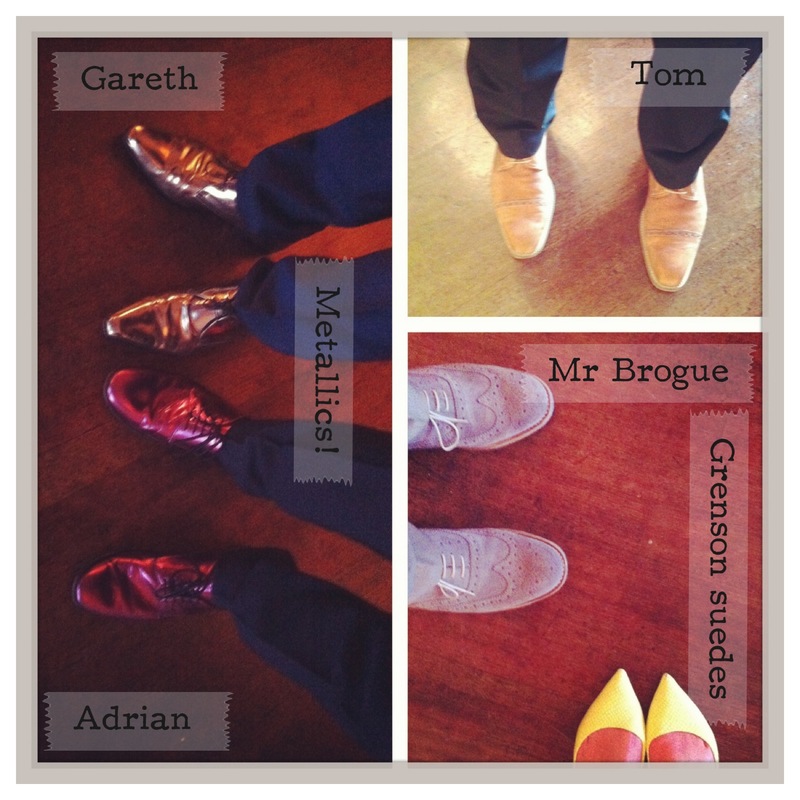 One of my bridesmaids wore the prettiest mushroomy coloured brogues with little white ankle socks. So cute and so practical! I got married a couple of months ago and wore flats. Sparkly, twinkly flats. Best decision I ever made. Oh lovely! Tweet me a picture! Hi! 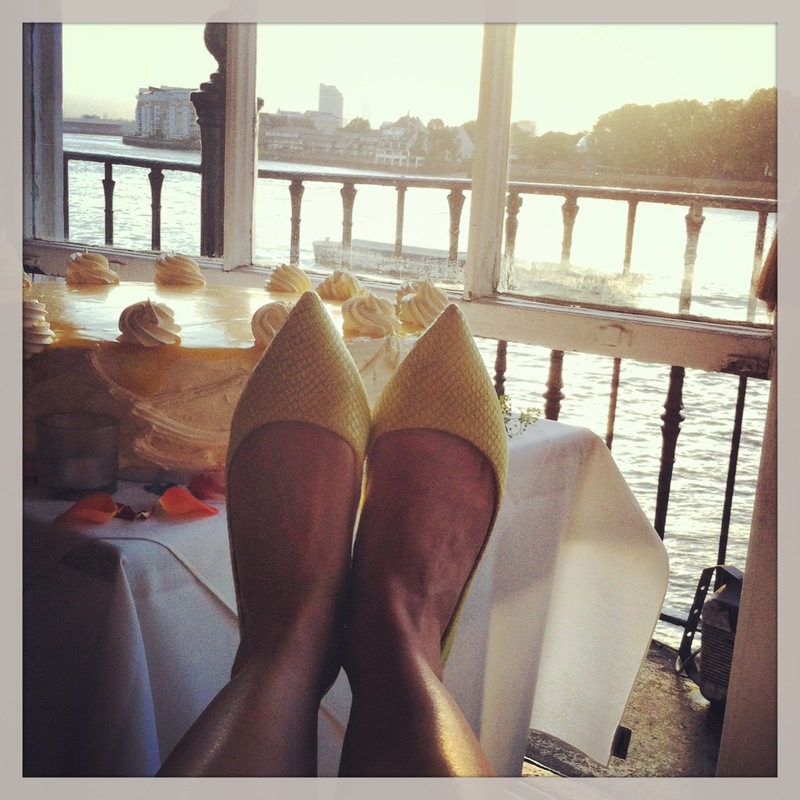 I’ve just found your blog and absolutely love your founding sentiment of flats over heels! I am much too much of feminist to subject myself to hobbling heels but also L.O.V.E shoes so I am very happy to have found your inspiring blog! Thanks for the kind words. Glad you like it! I wore flat gold boots on my wedding. And made my 6 bridesmaids wear exactly the same boots. It was amazing. I am all for flats! Hello! Thanks for the kind words. Yes I find them true to fit. Perhaps a little roomy around the toes but this works out well in winter with thick socks. Very comfortable and durable. As well as super-stylish!